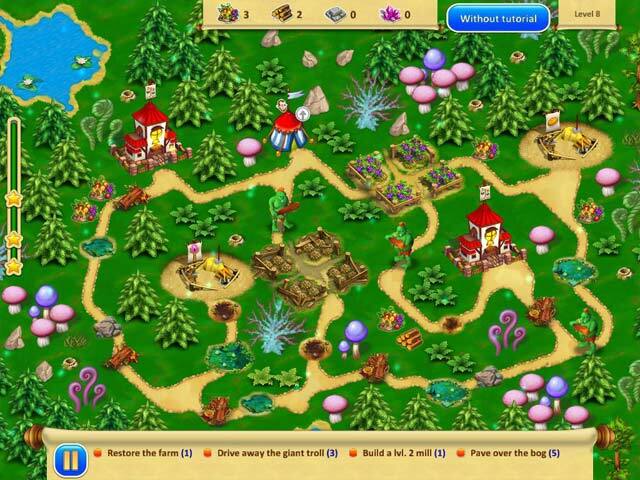 Gnomes Garden 3 game download. 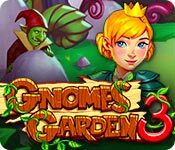 Free download Gnomes Garden 3 for Mac. The gnome princess has finally come home. She managed to make peace with the trolls and befriend their queen, but at home evil was afoot: a warlock collector stole the gnome monarch's castle along with the royal family! The princess must gather a team and set off on a new adventure to save her loved ones! 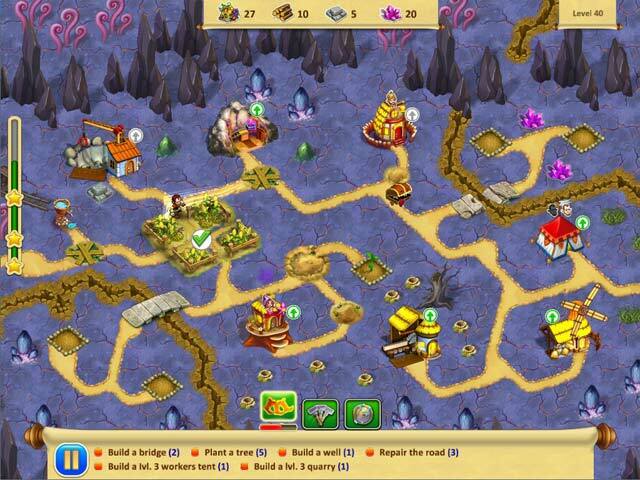 Set off and explore uncharted lands full of mystery and unbelievable creatures in this exciting casual fantasy/strategy game. 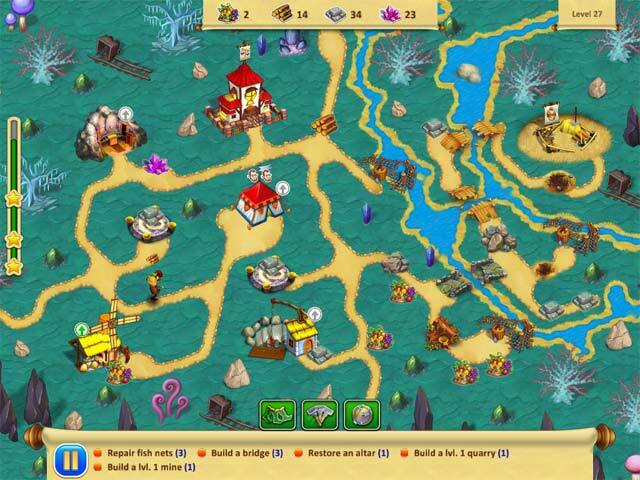 You'll discover lots of different objectives, a fun plot, and new game elements to try. Manage resources, build structures, plant magic giant trees, and fight against the dastardly warlock and his mass of followers.